I’ve heard a few people say that we’re not all connected. That’s because sometimes it IS hard to understand how bad things happen in the world, if we really are “All Connected”. They may not want to hear, believe, or know–but We Are All Connected. We cannot disconnect from our shadow. So, though it might be difficult to hear or accept sometimes, everything happens for a reason. And there IS value in EVERYTHING. Even if it is seeing what’s wrong, and then choosing to do better–or make a different choice. You don’t need a clear blue sky everyday of your life to be happy. Embrace the clouds and shadows of yourself, and of those around you–to be happy no matter what! Love – without conditions. Nobody’s perfect. When you have judged, forgive. Be grateful for all of the lessons. Move on (if need be). Learn, choose, and focus again on what “feels good”. Compassion, kindness, heart-centeredness. Be nice. You CAN choose. You have that power. Do you know what’s missing in Artificial Intelligence (AI)? 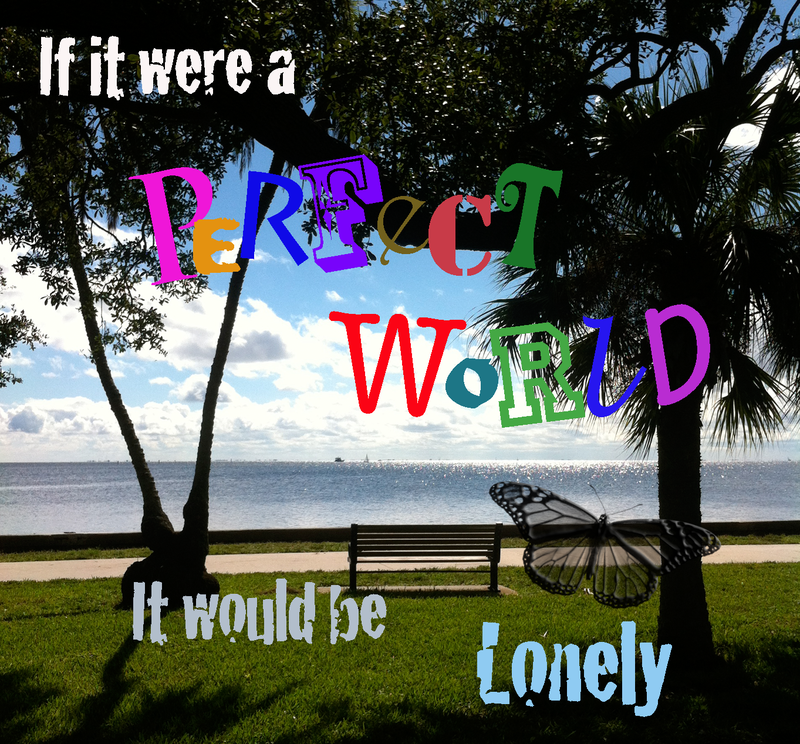 We humans are drawn to the imperfect! It’s why we’re drawn to art and Live performances. Flaws in movies stand out; we become critics. And we attract drama (or bullies) into our lives. No one is perfect. Which means we are all worthy of love! Draw in and cherish the flawed ones in your life AND the flaws in YOU! God’s creations are pure and beautiful! WE are the only ones who perveive flaws! Blessings to you all in ALL ways.